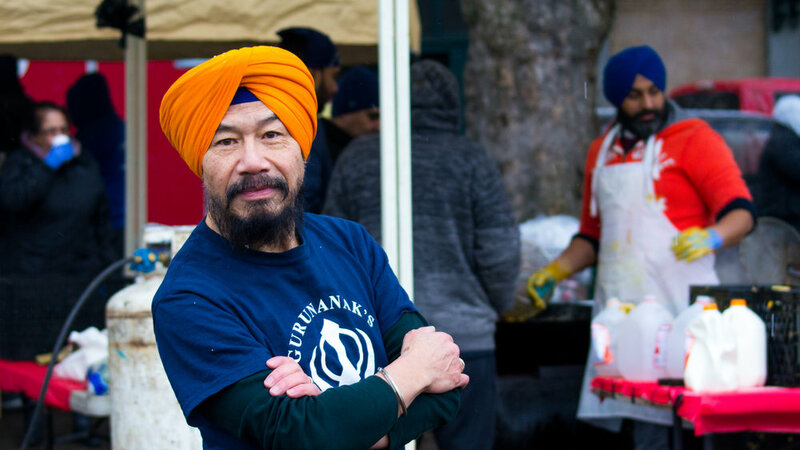 Guru Nanak’s Free Kitchen (GNFK) is a Sikh-faith led volunteer organization working for the benefit of ALL communities. Their objective is to enrich people’s life through the principles of Guru Nanak Dev Ji by earning an honest living (kirat), sharing (vand shakna), and selfless service (seva), all of which are embedded in Sikh spiritual heritage. Come out on Sunday, April 21st, and join Pat Singh Cheung in serving people in need.